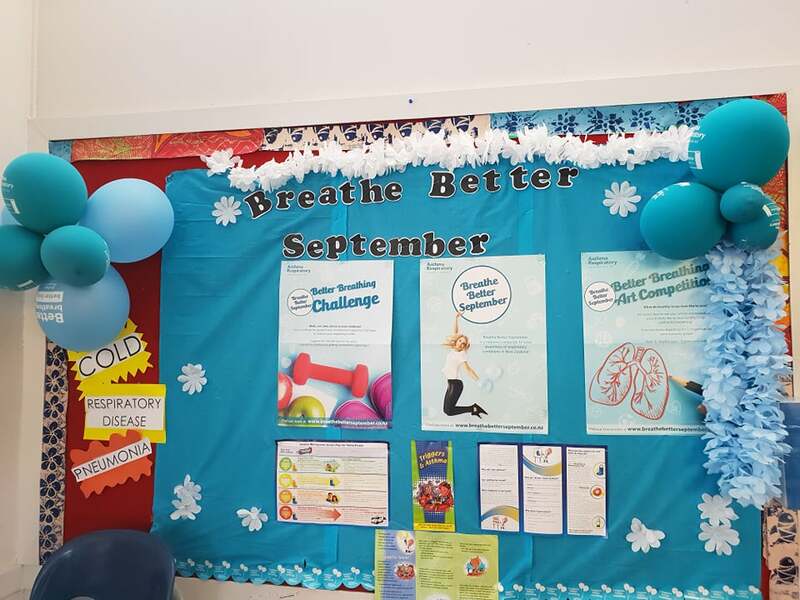 The Whanau Centre is based within the school and supports students and their whanau by way of the school nurse, social worker, and other staff attached alongside some other agencies in the community. The Whānau Centre gives families a place to meet and to work on ways to support their children’s education and address the health needs to ensure there are no barriers with engagement whilst in the classroom. Students’ feedback has been positive with comments such as: being helpful, supportive with a wide range of problems, a youth friendly service, a place where they are able to seek medical advice and treatment, help for their whānau, getting information on other social/health services available, and being a safe place to go. The “Break Free” project is a culturally responsive intervention which aims to develop new pathways for students who present with a range of behaviours and/or histories which create major barriers to engagement in learning. The purpose of the project is to personalise the response and support to the specific needs of each student to enable them to break free from the transcript they believe they have to follow or live up to, and develop a new story (restorying), by determining and agreeing on the way forward. The Break Free Project was implemented in 2013, and is led by Whānau Centre staff together with teachers and whānau. Youth Health Council has gained momentum over the years and we are keen to support them further by giving them those opportunities to lead others, promote health and wellbeing and be role models in the school. They are senior representatives of all of our areas in the school. Our “Breakfast Club” is supported by “Kickstart” and manned by our school teaching staff and is from 8am – 8.30am Monday – Friday in the Fale Pasifika. Students are encouraged to come and relax while they have some breakfast and catch up with other students before starting school. We are hoping to increase the number of students attending. The Whanau Centre team have also run events with in the school such as whole school shared kai, sports days, and fun days. 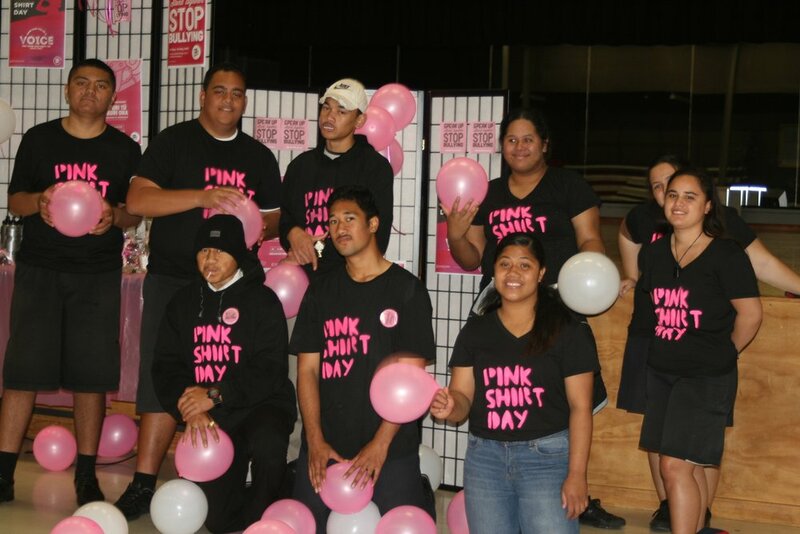 We promote events such as Anti Bullying "Pink Shirt Day", Asthma awareness and Daffodil Day in order to spread awareness of these causes to our students. We look forward to doing the same this year and will be running an event with in the school every 3 weeks, in addition to some lunchtime activities for our students. The following people are working in the Whānau Centre. Social Worker and team leader is Derryn Milne-Tupe who has a Diploma in Social Work and 23 years of experience in the field. Derryn works alongside students and their whānau in many areas where support or plans are needed. Derryn coordinates services that are coming into school to visit students or run programmes with the students. Derryn also assists other staff running the school Wharekai during kapa haka and works alongside whānau and students in this setting also. Derryn is an ex-student of the school and has been here for the past 16 years. She has seven children and four grandchildren. Five of her children have been students of the school with three still attending currently. (Social Worker in Schools) scheme funded by MOE through local providers – Te Tai Awa o Te Ora. Ngarimu works with Ys 7-8 students and is here 2 morning a week (Wednesday & Fridays from 9am – 12pm). The primary objective of Social Workers in the School is to provide social work support to children within designated schools and their families; and to provide supportive programmes to strengthen families. Sheridan is full time in the health clinic and recently completed her Registered Nurse Designated Prescriber in Community Health (RNDPCH) qualification which minimises some of the barriers for our students when accessing health care. This great tool allows our students to be treated in a timely manner minimising the presentations to local primary health care providers & Accident and Emergency Clinic’s. Sheridan helps students deal with all their primary health care issues. She is able to prescribe medications to some students with both long term and acute medical issues utilising her prescribing endorsement and standing orders. Sheridan completes referrals to GP services, other external health/social services when required, and all secondary referrals to ensure all health needs are addressed in a timely manner allowing the student to remain within the classroom to achieve their educational goals. She completes full comprehensive health assessments on all our Year 9 students and also opportunistic screens when needed. The Nurse is available Monday – Friday 8am – 4pm. Kara is an experience Registered Nurse who works 15hrs a week within the health clinic. Kara brings with her all her emergency care, surgical, & medical nursing experience. Kara is enjoying her time at KAC; working as a team in an open environment, friendly atmosphere, and she feels this is reflected in the student’s attitudes. ACC Accident & Compensation claims/injuries/physiotherapy, etc. Poua Ian has recently joined the team and is focusing on the attendance of the students and looking at our systems in relation to this. His hours are Monday – Friday 10am – 2pm and is making calls and sending letters to whānau regarding attendance and lateness. He also has 30 years’ experience with WINZ and has offered to assist whānau for advice in relation to any concerns they have regarding what support they may qualify for . We have had numerous social work students come to the Whānau Centre to complete three month placements while they are studying to become social workers over the years as well as counselling students. We have found these students have gain a lot of knowledge over and above their placement criteria due to being part of the school and learning from our students and our kaupapa.